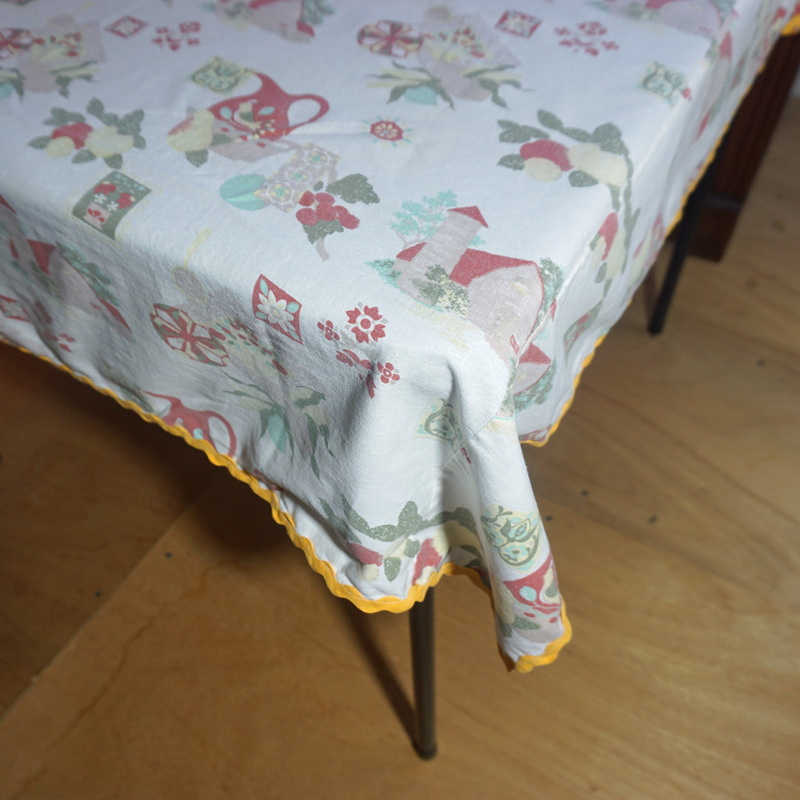 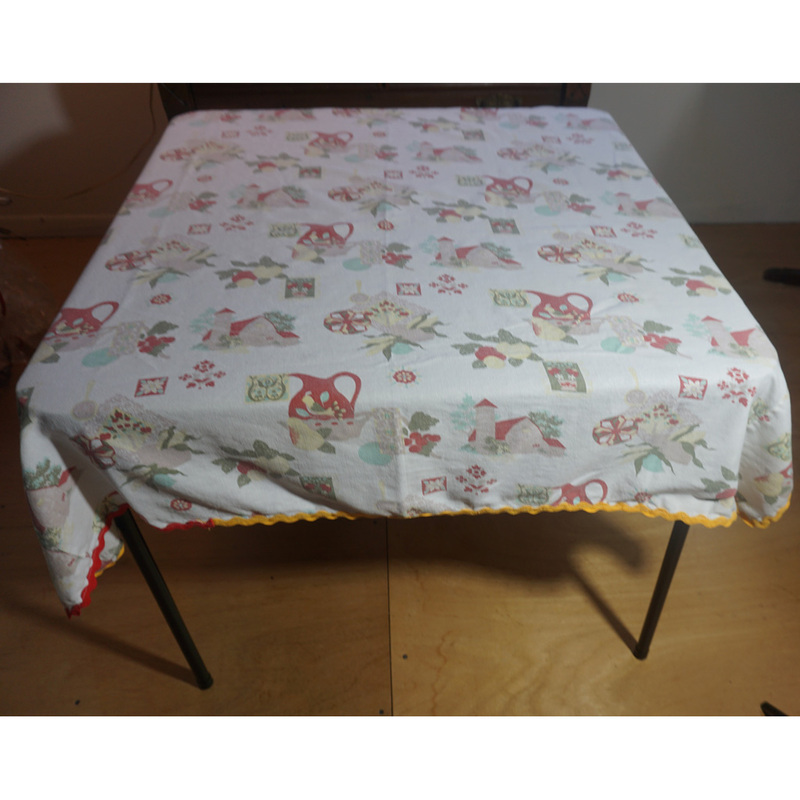 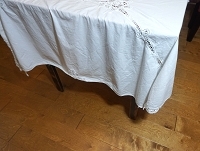 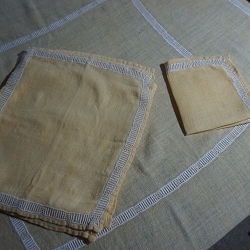 Adorable vintage 1940s linen tablecloth adorned with a farm scene, measures 48" x 48". 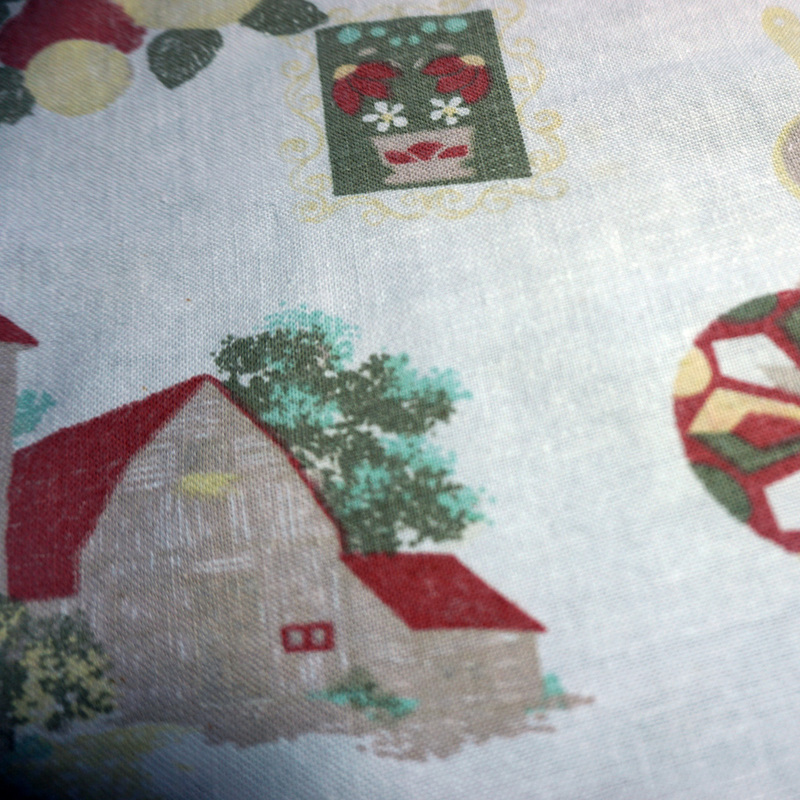 Perfect for your farm house or shabby chic decor. 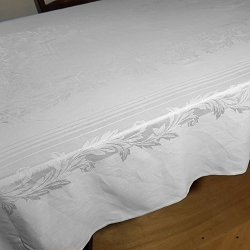 Very soft and aged from years of loving use, it's in good condition.